Note: This article originally appeared in the Summer 2009 issue of Canadian Opportunities Magazine. Reproduced with permission. This is a new column on leadership for entrepreneurs. I’ve spent many years honing my own leadership skills and developing them in others, first in the army, and now as a business consultant and leadership coach. Entrepreneurs are leaders too, as they need to influence people on a day-to-day basis: employees, associates, investors, bankers, clients, and even significant others and family members. It’s a demanding leadership environment and I intend to help you navigate these waters. Let’s start by listing the most powerful leadership principles, so you can hit the ground running. Leadership is the art of influencing others to achieve a desired goal or outcome. Being a positive example and role model is the most direct means of influencing others and gaining their respect. How many of us have had bosses and supervisors who wanted us to "do as they say, but not as they do"? As workers and colleagues, we can all smell hypocrisy from a mile away. Why would it be any different for the people that we ourselves are seeking to lead and influence? Sports leadership provides a good illustration of this principle. Team captains are always the hardest working, most dedicated members of the team. Through their example, they inspire their teammates to surpass themselves and to achieve more. In fact, what could be a better illustration of being a good role model? This is the counterpart of being a role model and setting a positive example for others. The best and fastest way to learn just about anything is to model the thinking and behaviour of someone who already knows what they are doing. When you think about it, this makes inherent sense. How does a dancer learn how to dance? By imitating the moves of proficient dancers. The same goes for music, sports, driving, building houses, and just about any complex task or endeavour. This even applies to fields such as scientific experimentation, engineering, medicine, and law. All these fields are learned through absorbing, under competent supervision, a set of rules and practices that have already been laid out in advance. Following a list of principles such as this one is a good start. So is finding a good coach and/or mentor. This allows you to observe their style and approaches to leading and managing while getting constructive criticism of your own ones. This technique is the logical extension of modelling the behaviour of others. In order to do so effectively, you must be able to accept criticism, but also observe your own behaviour and results and admit when you have erred. The ability to admit mistakes means that you will learn from them that much faster. All effective leaders have developed a certain level of immunity to criticism. They don't take it personally because they realize that it goes with the territory. If you can't take the heat, stay out of the kitchen. Another resourceful effect of admitting mistakes is the positive influence it has on others. Owning up to the consequences of your decisions and actions takes courage and mental toughness. By doing so you will inspire others to do the same and you will set a fine example. Great leaders are not afraid of stretching themselves and taking risks. They accept their fear and use willpower to overcome it. This is the only truly effective way to learn anything. Assuming you're reasonably intelligent and a quick study, this is the royal road to gaining the experience and exposure you need to attain leadership mastery. Another advantage of this principle is that you will stand out for your competitive spirit and ambition. These characteristics tend to have a galvanizing effect on co-workers and competitors alike. Once again, the ability to act without fear of failure is critical. It is a well-known fact that most people will only perform to the limit of others’ expectations. If you set the bar low, people will just barely get over it. Conversely, if you set the bar high, some people might falter, and others might get a bit stressed, but overall performance will be much higher. Moreover, setting stretch goals will lead you and your team to have an eye out for opportunities. Entrepreneurs and leaders who set high expectations are also more likely to get what they want and to attract excellent performers, people who are looking for challenges, rather than just a weekly pay check. This inevitably leads to greater competitive advantage and success in the marketplace. Ever hear of "analysis paralysis"? This happens when leaders fail to take action despite having sufficient information to do so. Experienced leaders and most entrepreneurs advocate moving when 80 % ready. The remaining 20 % of information or preparedness will rarely, if ever, materialize. Besides, it would likely be rendered irrelevant in any case as the situation evolves. If you are facing diminishing returns in gathering information and in the clarity of the plan, then that is normally a sign that further planning is counterproductive. It is time to move, monitor and upgrade your approach as experience and feedback dictate. As mentioned above, these principles are just the first six of twelve principles of leadership. Learning and applying these principles is a very effective way to accelerate your development as a leader, as they represent a distillation of generations of experience and best practices. Begin now to study these principles and to apply them in the daily management of your activities and those you are trying to influence. The hardest part of change is taking the first step, so move now. Richard Martin is founder and president of Alcera Consulting Inc. He helps excellent executives and entrepreneurs to become world-class leaders and to thrive in the face of rapid change and uncertainty.  There is a wealth of free information available for download on his website, www.alcera.ca, where you can also sign up for his free monthly newsletter, Leadership Catalyst.